Regular readers will probably already know that I am a huge Pampers fan, I have used Pampers nappies on all three of my children. I have tried other brands now and then but I always come back to Pampers, as I personally find them the best around. They offer unbeatable dryness, look great, are great quality and most important of all my children seem to be happy with them as they keep their little bottoms dry and they have never suffered from nappy rash. 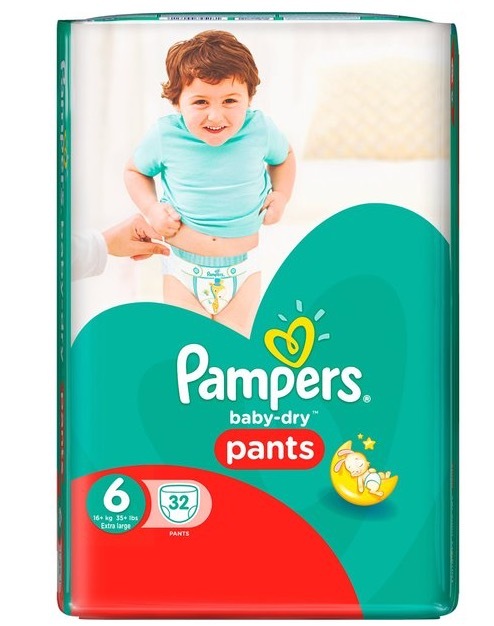 Pampers recently launched some Baby Dry pants which are a pull-up pant style nappy that offer up to 12 hours of dryness and are designed to make nappy changing easier for mobile babies who are still too young for potty training. I always thought that pull up pants were for potty training but these ones are just as absorbent as a regular nappy but they are designed to be like pants, so they are easier to put onto a wriggling baby and you can just pull the sides to remove them, genius! My son Jacob is now 15 months old and he is at the age where he does not want to lie still to get his nappy changed, often wriggling away. So these pants are perfect for him as it means I can now change him standing up and no longer have to struggle to fasten a nappy on a little wriggler. Pampers recently carried out some research that found 71 % of parents found it stressful finding somewhere to change their baby on a day out, I no longer have to worry about finding somewhere suitable to change him when I am out as I can now just get him to stand up and change him in the toilets if I need to with these pants. As they offer up to 12 hours of dryness it also means that a day out is less likely to be spoilt by him being wet and having to be changed or come home. The pampers research showed that 36% of parents questioned had to leave a day out due to wet nappy incidents. With this in mind, Pampers have decided to set a challenge, a 12-hour uninterrupted happiness challenge to be exact. The challenge aims to show that you can enjoy a family day out with your little one without having to worry about any wet nappy incidents or changing struggles with a wriggling baby. They recently sent a group of Mumsnetters to do just this and you can read what they thought on Mumsnet. We have also been invited to take part in the Pampers Baby Dry 12 Hours uninterrupted Happiness Challenge with Jacob. We are being sent on a family day out next week and Jacob will be wearing his Pampers Baby Dry Pants to see if these can keep him dry, eliminating changing room battles and help us to have a nice day out without worrying about Jacob being wet and grumpy. I will be posting next week on how the challenge went and telling you all about our family day out. Have you tried the new Pampers Baby Dry Pants yet on your little one?